The Fuji Rock Festival had been on our Japan ‘to do’ list for years and we finally pulled the trigger and bought tickets for the 2014 event. 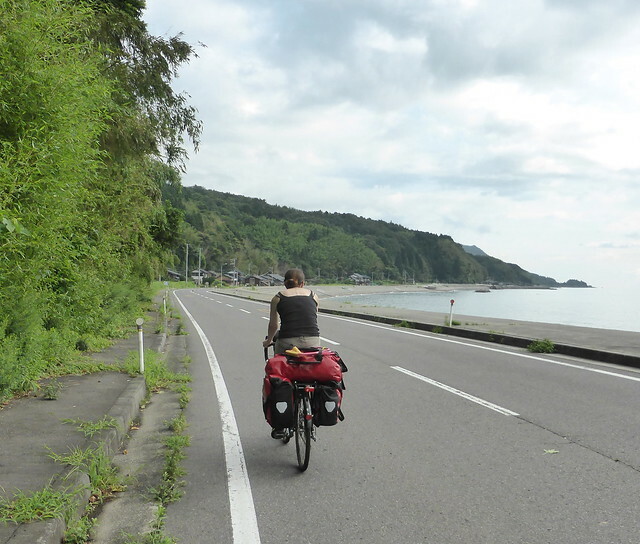 When we were looking at flight and transport options to get to the venue at Naeba ski resort in Niigata prefecture, Clare had the idea to cycle there, and a plan was hatched. Admittedly, we didn’t cycle all the way there. That would’ve taken a lot longer than the time off we had available. We cheated a bit and caught the overnight ferry from Tomakomai in Hokkaido down to Niigata City on the west coast of Honshu. 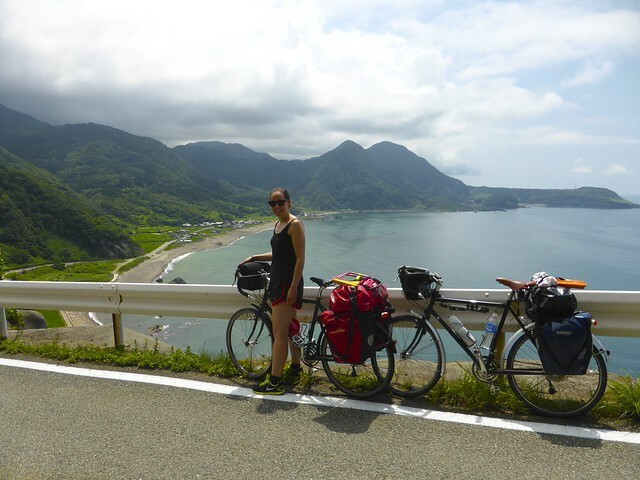 This would be our first time taking our bikes outside of Hokkaido and our first time taking a ferry. It turned out to be very simple. Our bikes were loaded onto the ferry alongside the motorbikes and secured down on the vehicle deck. The ferry itself was comfortable and the sleeping area very quiet even though we, obviously, had only paid for the cheapest option. After 20 hours or so on the ferry, we arrived in Niigata, but we still weren’t done with the boats. We connected to another ferry which took another couple of hours to cross over to Sado Island. When you fly to Europe from Tokyo, you always fly north to follow the polar route, which takes you over the coast to overfly Sado Island. It’s a very distinctive shape so I’ve often noticed it from the air and always fancied going there. It turned out to be an amazing place to cycle. This is apparently Japan’s third largest rock. Much excitement. 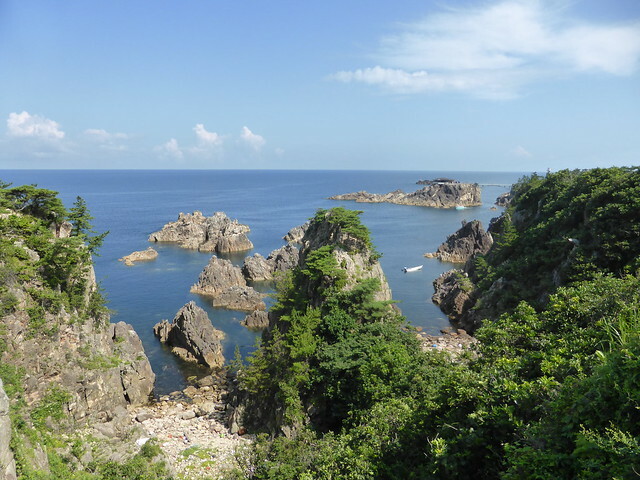 The ferry arrives at the island’s capital, Ryotsu, and from there the natural route to take is to follow the coastline. 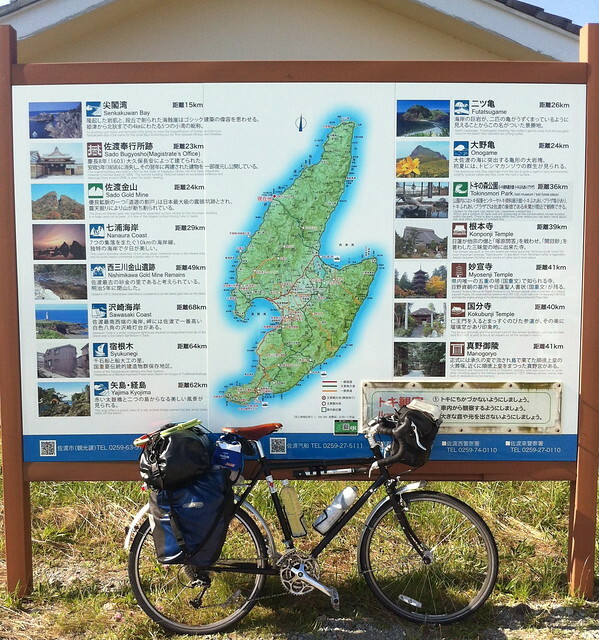 We did a loop of the island, which was a little over 200km, over a mellow 3 days. 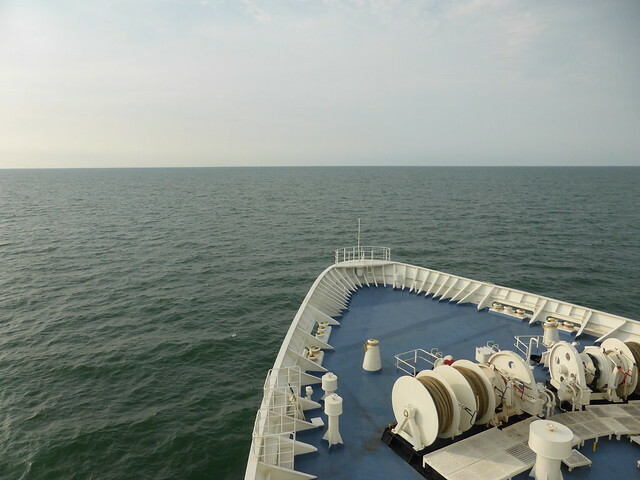 We looped anti-clockwise, keeping the sea on our right at all times which made route finding very simple. 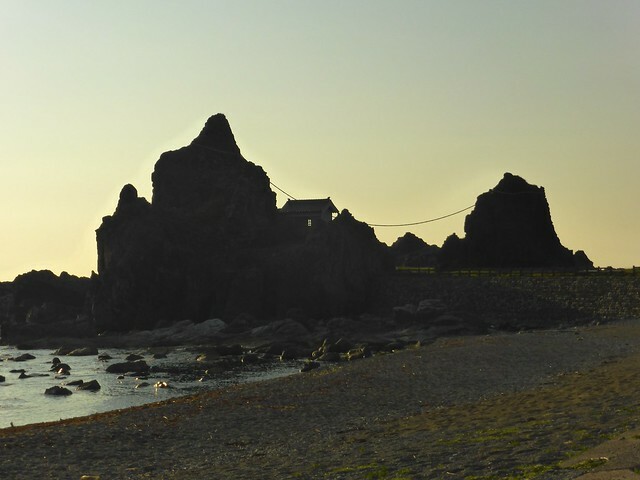 We wild camped one night and the second night found a gorgeous campsite surrounded by rocky outcrops next to a shrine. 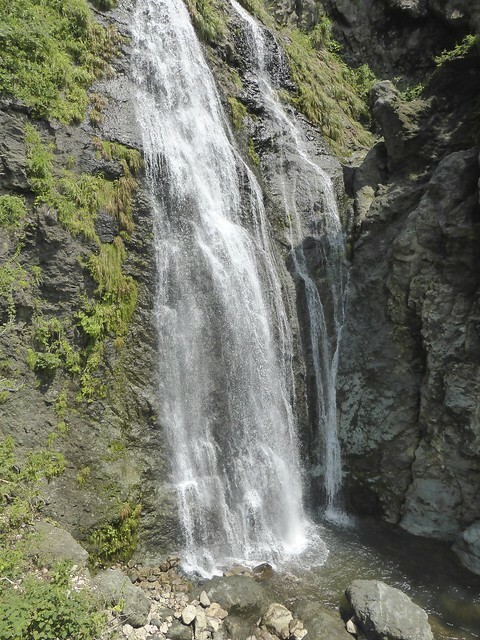 The cycling was surprisingly hilly, especially in the northern part of the island, but we were never far from the sea, or even once a waterfall, when we needed to cool off. 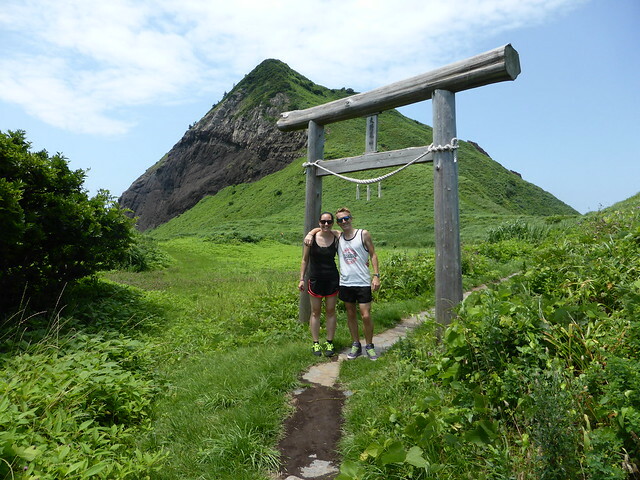 There are a few touristy spots, like Senkaku Bay where there was a 500 yen charge just to go and look at rock formations in a bay. 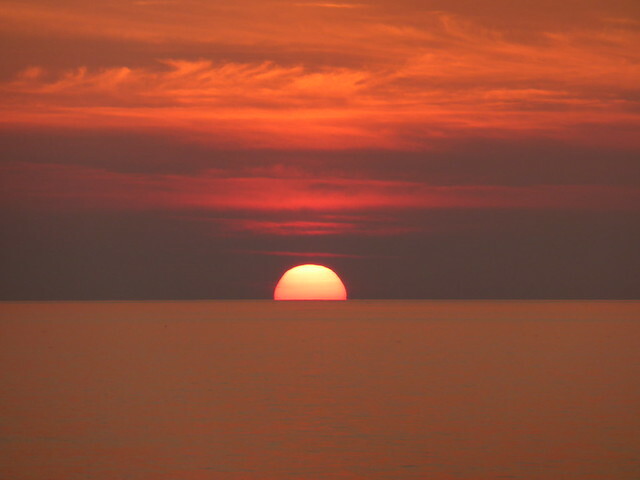 Or, as we did, you could travel half a km along the coast and be completely alone enjoying the same view but close up. 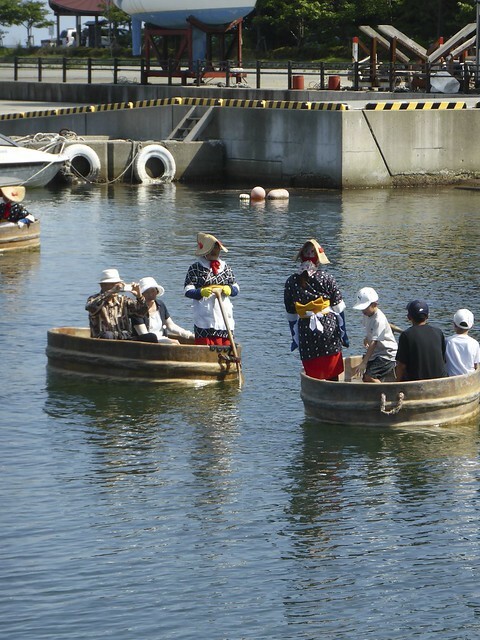 The other touristy spot was Ogi Port where the big attraction was ‘Taraibune’ – traditional wooden boats that looked like circular bath tubs. They were floating around the small harbor in Ogi while we waited with a beer for the next ferry, taking us to Naoetsu, back on the mainland. Naoetsu is a grimy industrial port city and we rolled in well after dark. We found somewhere to eat and then headed to what looked like a quiet stretch of beach to camp for the night. Of course, being Japan, by 5 o’clock the next morning the walkers and joggers were out, having a good peer in through the open vents of our tent as they passed. We packed up quickly and after a 7-11 brekkie were on the road heading away from the coast into the mountains. This was late July, it was hot. As we cycled inland away from the coast, it got even hotter. 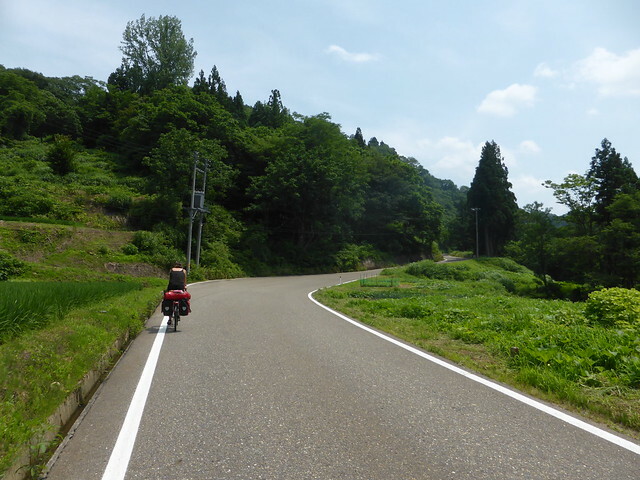 Once were off the main road, we were onto small single lane roads that climbed and climbed past farms, rice fields and then ski areas. I’m glad we took the route we did, as it avoided busy roads and long tunnels, but it meant a lot of sweating our way up steep climbs. 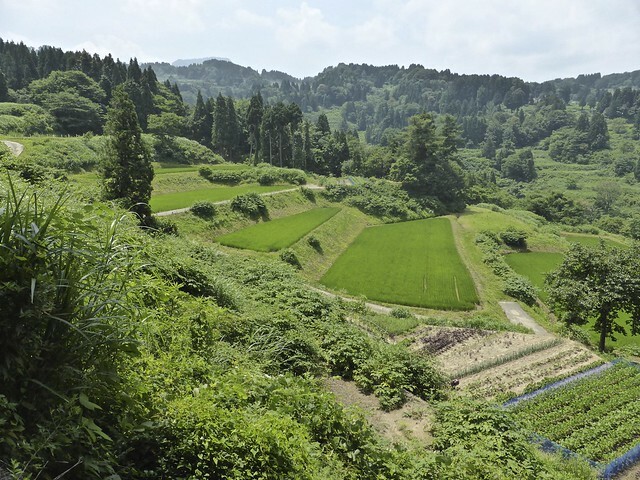 The scenery was beautiful and reminiscent of South East Asia with steep terraced rice fields and lush green forests. We had a couple of days of this, with big climbs up to ridgelines and then fast descents into deep valleys. With the winding roads and hills, we weren’t making huge progress on the map, but we eventually made it to our next pitstop, Yuzawa. We’d booked an onsen hotel in Yuzawa for the night before the music festival started. It felt so good to soak away the sweat and grime of the past few days and to get a good night’s sleep before the madness of Fuji Rock. 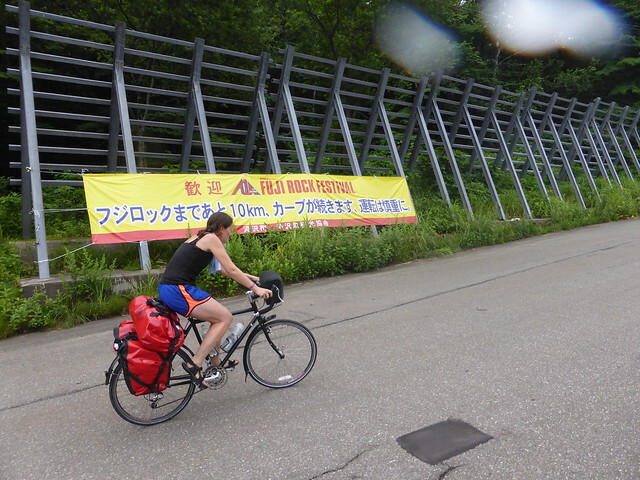 The next day, stocked up with supplies, we tackled the last 25km climb up to Naeba, encouraged by the beeping horns and ‘Ganbattes’ from other festival goers passing in their cars. We arrived in the drizzle, bought a beer and joined the queue to enter the site. 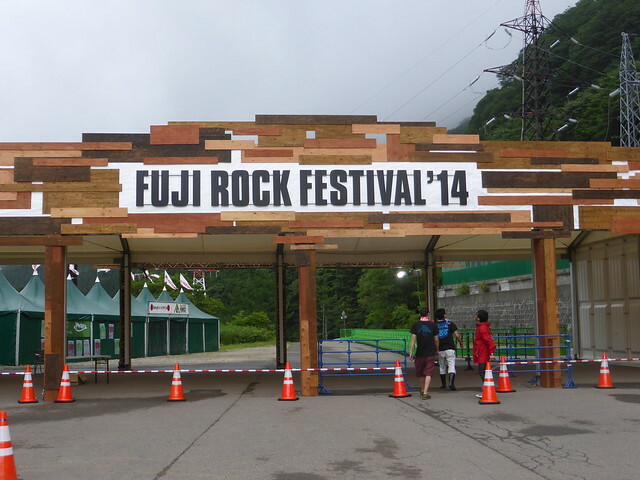 Made it to Fuji Rock! Here’s a video. 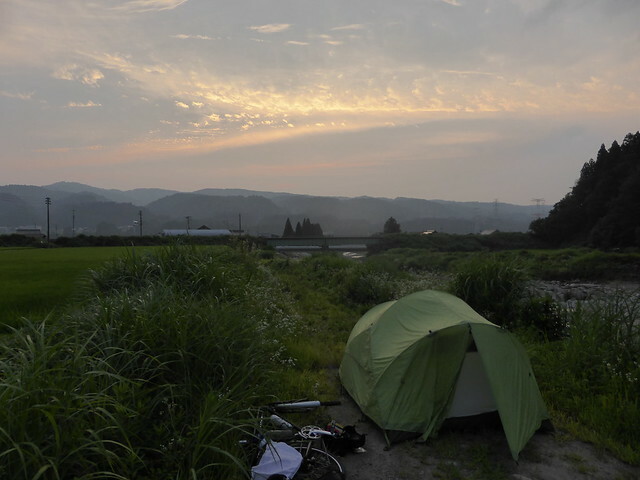 The first part is from the cycling, the second from Fuji Rock.